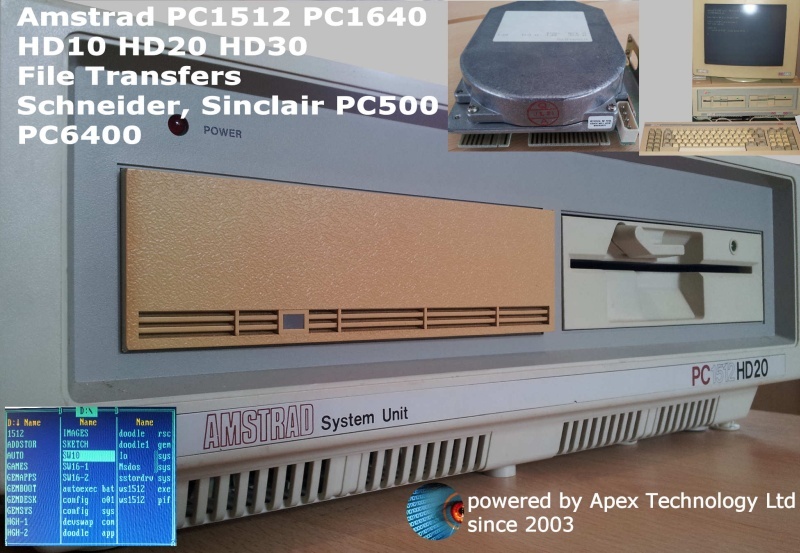 Copying files from the old Amstrad PC with SCSI 8 bit XT hard disk drives to USB or CD. The disks do not use IDE or SATA interface, instead they needed a dedicated 8 bit ISA controller card. We can extract the files from the PC1512 and PC1640 to Windows or Apple Mac formatted drive. If you need a Transferring files from Amstrad PC Hard Disk Drive service, then contact our friendly company. Copying files from the old Amstrad PC with SCSI 8 bit XT hard disk drives to USB or CD. The disks do not use IDE or SATA interface, instead they needed a dedicated 8 bit ISA controller card. We can extract the files from the PC1512 and PC1640 to Windows or Apple Mac formatted drive..